I am still in the process in designing my mach 3 suit, but I need help. I didn't know whether this belongs to the super suit section or this section since it applies to both. 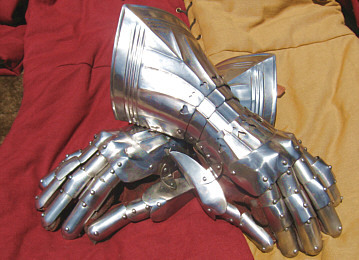 However I want to know, what would be a good gauntlet. 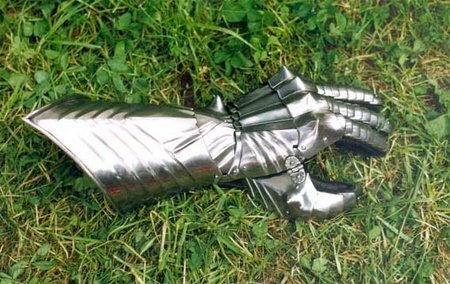 I am looking into pictures for inspiration in my design but specifically I would want the following: strong durable material for both defense and attack as well as a good grip on anything. 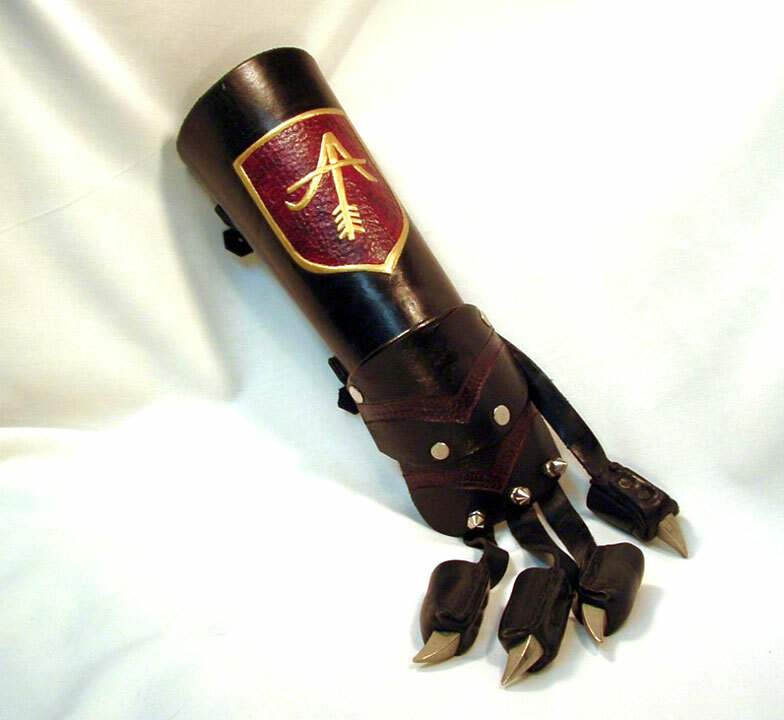 This would be mostly designed for both fighting and climbing. 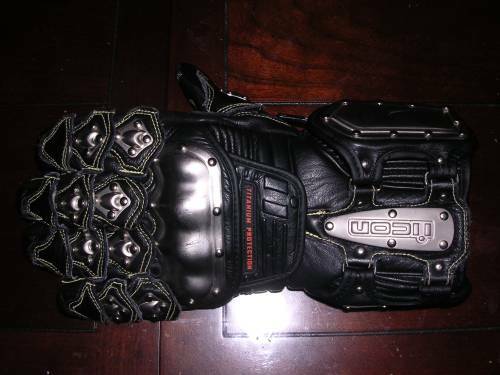 Not much of a parkour person myself, but I've seen people mention leather in those threads before, plus leather is quite light and gives decent protection against things like arrows/bolts etc. 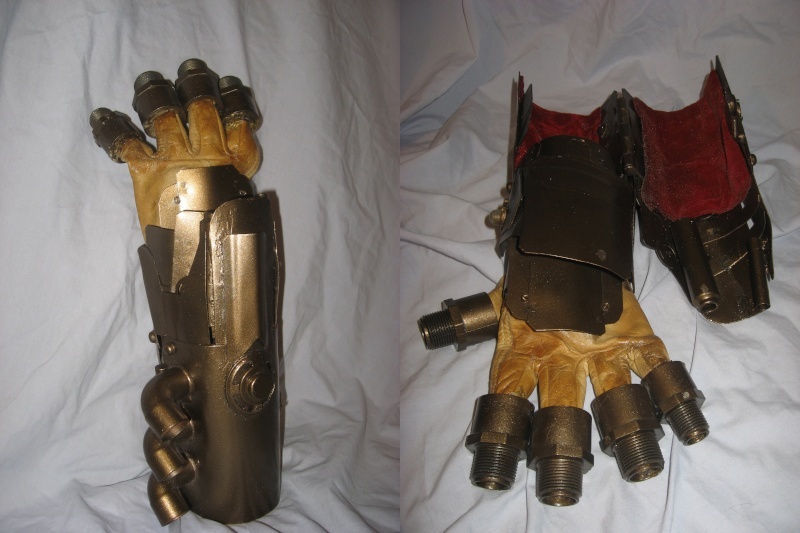 I made a mix of 2 or 3 of the gauntlets you showed me. 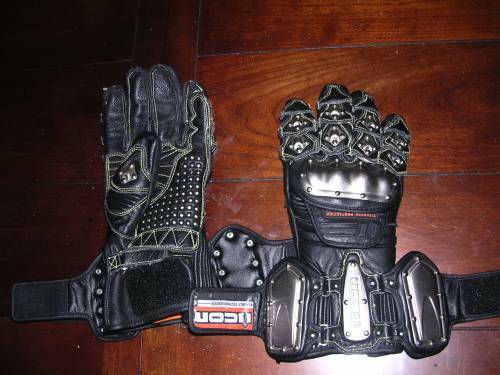 If you're going to be doing a bit of climbing in these, allow the gloves to be fully functional before protective. That and watch what kind of material you use. Slippery material from puddles or rain can cause painful accidents (found out the hard way). AHHHHHHHHHHHHHHHHHHHHHHHHHHHHHHHHHHHHHHH that is amazing!!! I'm inspired, starting work on a tin prototype now!! Very nice. 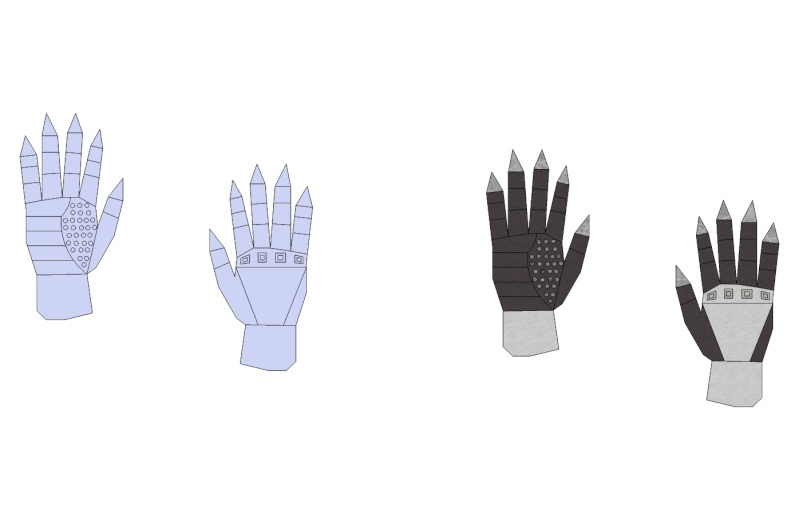 I know palm protection was largely non-existent traditionally, but do you have any plans to implement some kind of palm protection? 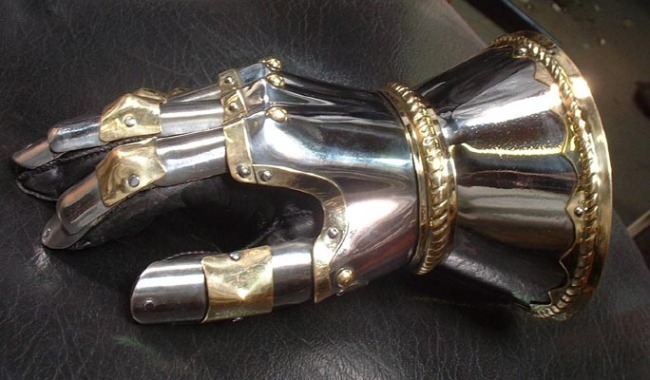 Some kind of palm protection coming right up! 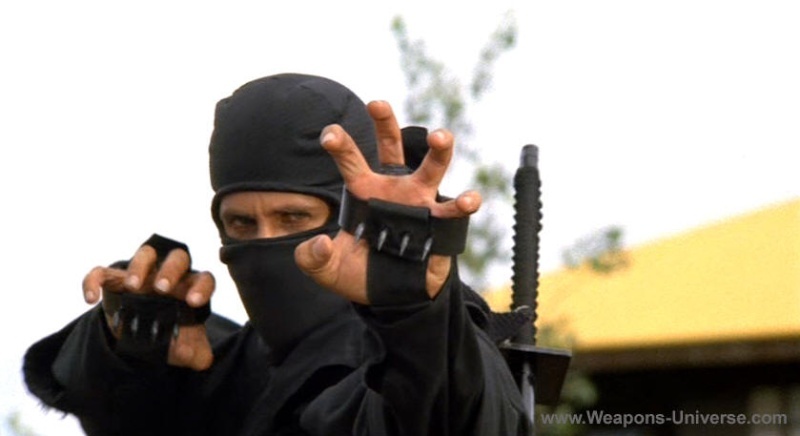 Shuko, the magical tool of the ninjas. 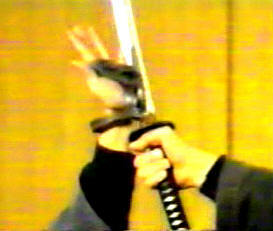 It traditionaly only used to be just for climbing trees but found out to work out quite well with blocking swords. 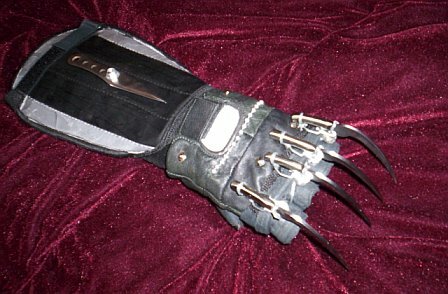 Anyways that is what comes to mind with palm protection. Edit: I figured since I made a video review of them might as well post it now that this is the subject to my reply. 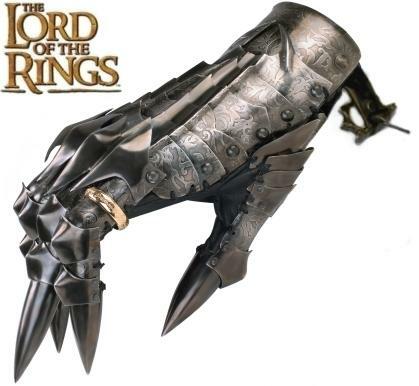 @idiot1jerk2face3, where did you get the hand spikes? 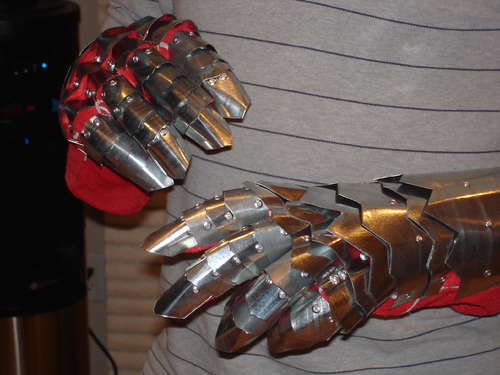 All the ones I've seen so far have a metal part artound the wrist, while yours seems to have adjustable cloth instead. The ever amazing store for weapon collecters on a budget, BudK. 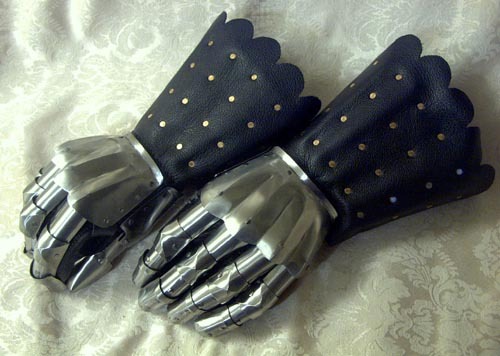 You could have custom grips with indents for the spikes, that should work.